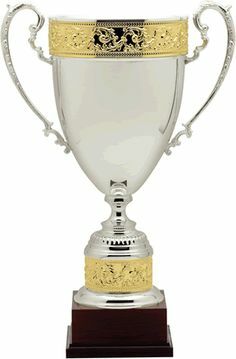 The Writers Cup is presented annually at The Writers Ball to a selected Author, Ghostwriter, Screenwriter, Playwright, Songwriter or Journalist. Honorees are selected by a host committee. There is one recipient of The Writers Silver Cup and one recipient of the Lifetime Achievement in Writing Award. One of the highest honors The Writers Ball bestows is The Silver Cup. This award is presented to a living author with a career in writing that must span a minimum of 15 years, to include teaching writing, and has made to significant contributions to the community and as a writer to encourage reading and to promote literacy. The Lifetime Achievement Award has a requirement of a minimum of 10 years in writing, to include teaching writing, or as a publisher, filmmaker, screenwriter, ghostwriter, playwright, songwriter, journalist, author, business or an organization who has made significant contributions to the community to encourage reading and to promote literacy. Recipients must in some way continue to impact the community by promoting writing, encourage reading, teach writing, as a book seller or as a publisher. Nominations are by email and should be forwarded to: thewritersball@mail.com with Nominate in the subject line. A Nomination form will then be forwarded to the person nominating. The Writers Cup Committee will send invitation letters to persons who are qualified to nominate for The Writers Cup beginning June of 2018 for the 2018 year.